Loading of goods is also of great significance to us because many goods are damaged during this process. A Real Safe packer movers provide trucks for the transportation of goods. Real Safe packer movers make it certain that all valuables arrive at their respective destinations with no damage at all. Relocation of goods is done timely without causing any anxiety to our customers. A Real Safe packer moversoffer a wide range of packing and unpacking services for households offices, fine arts, and machinery. With over 3 decades of packing experience and a highly skilled team of staff members, you can be assured of the very best quality. The materials we use have been developed through our ceaseless efforts to provide the best protection of your valuable goods during transit. Real Safe packer movers have established a well-maintained warehouse to stock your consignments. Real Safe packer movers warehouses at various offices are waterproof and all the proper care is taken to keep your valuable in best condition. Real Safe packer movers have special covered car trailers to transport our cars to your desired destination. Trailers & containerized trucks specially designed for the safe carriages of cars are specifically used for this purpose. In this era when the warehousing concept is gearing up, we are fully prepared for all/any challenges that might arise. We have well maintained, well organized, and well equipped warehouses at various convenient locations in India. 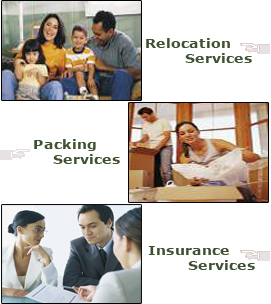 Real Safe packer movers own godowns at various major and attractive locations in Indore. • Superior Packing Material ensure safe delivery. • Commitment to Quality-We follow best quality standards.